The other day, I was joined by Sonic Nourishment (LINK) musicians Erika Luckett and Lisa Ferraro for a day in western Sonoma for some wine tastings and lunch. It was a perfect day weatherwise, and we began with a drive out to Iron Horse Vineyards (LINK) near Sebastopol. Known for their sparkling and white wines, Iron Horse consists of just over 100 acres of vineyards. We opted for two tastings, with Lisa getting the sparkling wines and me getting the white wines (Erika was our designated driver). The sparklers were all well-crafted (with the exception of one that turned out to be a bad bottle – when we pointed it out to the tasting room personnel, another one was opened, which was fine). I am not a huge sparkling wine fan, but I do appreciate the bubbly from time to time, and these were all very drinkable to me. Lisa said that she was overall less impressed than on a prior visit to Iron Horse. The whites, all Chardonnays, were equally well-crafted, especially the 2012 Rued Clone Chardonnay which was especially well-crafted with a nose of white fruit – pears and apples – with a hint of caramel. Very nice. We did not taste any of their Pinot Noirs, saving our strength for the long day ahead. One note – the tasting notes pages at Iron Horse said nothing about the wines, only naming some suggested food pairings. Since there was no food available, I did not find this very helpful. On the other hand, the tasting room staff was very helpful and paid attention to everyone. 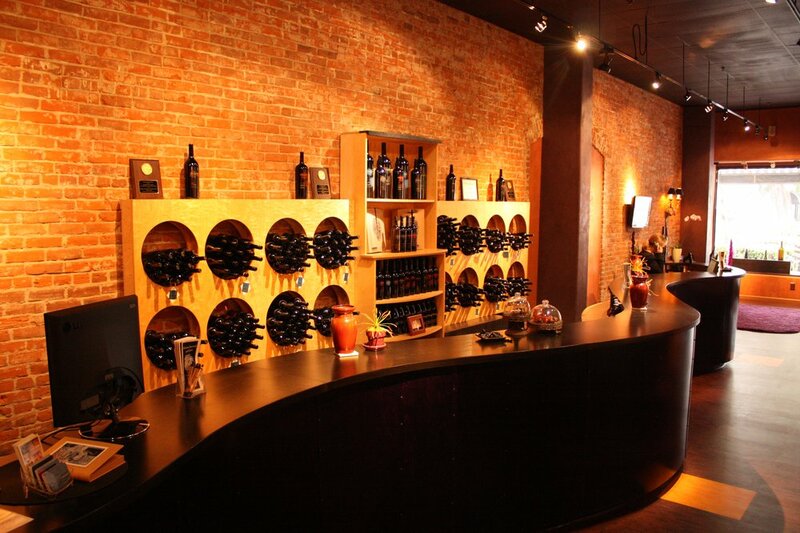 Next, we headed into Healdsburg (LINK) for lunch and to hit a couple of tasting rooms there. After a healthy lunch at the Oakville Grocery, we headed over to Banshee Wines (LINK), for some Chardonnay, Sauvignon Blanc, Pinot Noir, a Cabernet and a red blend. 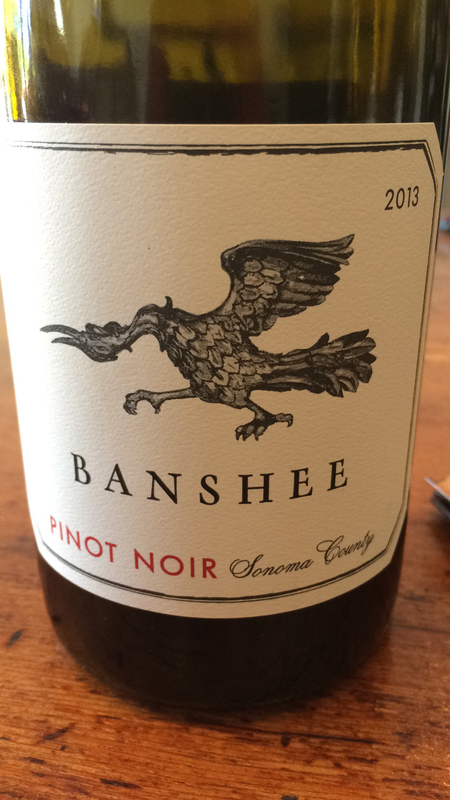 Banshee sources fruit from a number of Sonoma coastal and inland vineyards. They produce wines that are more Californian than Burgundian in style, which is not surprising. Lisa and I each did their basic tasting (there is also a reserve tasting), of three Chardonnays and two Pinot Noirs. They were all well-crafted and very good (think somewhere between oaky and stainless steel for the Chardonnays; the reds were very nice with one exception – The 2013 Mordecai Red Blend, made up of 9 varietals, had such an off-putting nose (think swampy) that neither Lisa nor I could get to the tasting. We asked the tasting room staff if this was a bad bottle, and were told that it was fine. We dumped that one. Otherwise, the Banshee Wines that we tasted were enjoyable. Like many smaller producers in the area, their price points are a bit high for the average buyer – but if you like the wines, you will buy them. 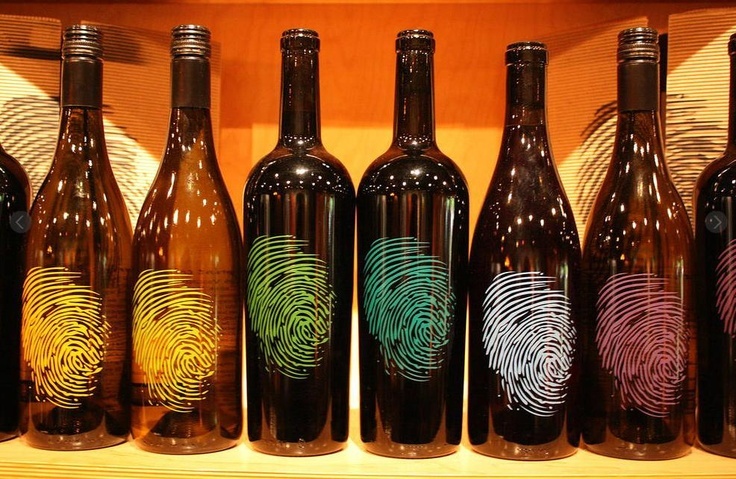 Our final stop of the day (we needed to beat the traffic back to the East Bay), was Thumbprint Cellars (LINK), whose tasting room is just off the square in Healdsburg. I had some of their wines a couple of years back, when they were regularly featured on the Wines Till Sold Out (www.WTSO.com) site, and liked them very much. When I mentioned that to the tasting room staff, I was told that those were special blends made just for WTSO at the time. 20% Zinfandel, 7% Cabernet Franc, 3% Viogner. This one is very smooth and complex (as you might imagine), but well-balanced. Very nice. I brought a bottle of this one home; so did Lisa. The 2011 Sonoma County Cabernet Sauvignon was everything you would want in a Sonoma Cab – rich, spicy, bold, and lots of dark fruit, but with an elegance that is so often missing in “big” wines. So that was our day in Western Sonoma. Like all such tasting outings, we had a great time and missed a lot of wineries. But that gives us something to go back for.